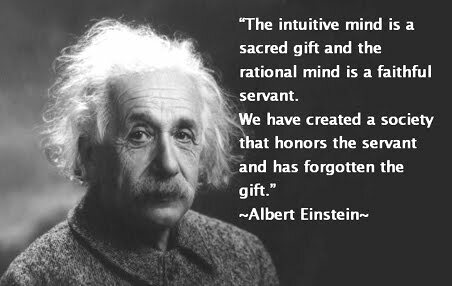 I'll start today by wishing Albert Einstein a very happy birthday. Just think of where we would be today without his revolutionary Theory of Relativity. Now, I know I share this list with a lot of VERY intelligent people, and I also know that I am average, so if I say things wrong, please forgive me. But I think that E=MCª is pretty kewl. The fact that something that deep that explains so much can be expressed so beautifully and, thus, penetrate the general mindview of the populace is nothing short of amazing. So here's to you, Einstein. Great tag line! Great idea! And, BTW, thanks for helping my Uncle gain admittance to the US. It was a great thing and your letters of recommendation opened the immigration door for him. I'm also wishing Happy Trails to the printed version of the Encyclopedia Britannica. I remember hours upon hours using the set that I had. My Dad bought it for me when I was fairly young, from a local pawn shop. My folks never had the money to buy a new set, so what I was learning from was already out of date. But now, with so many innovations and discoveries happening every day? Well, a printed copy of an Encyclopedia is out of date before it ever hits the printing press. 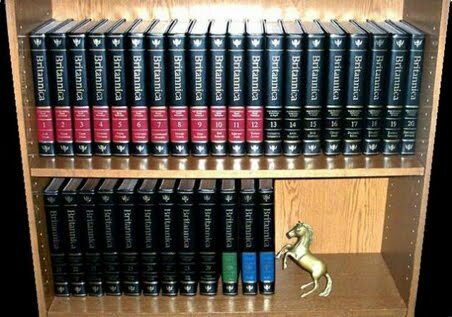 The current edition of the Encyclopedia weighs more than 100 pounds and costs more than $1200. I don't know how many they printed, but more than one third of them didn't sell. They say they will concentrate on their on-line versions and information delivery vehicles. Smart move! Remember when I said that I was keeping up on B2ME? For a while there my stories became short and sweet, things were looking up. Then I had two stories that decided they would have teeth. So even though I'm still up to date (although I missed a lot of reviewing over the weekend - so sorry to all the fabulous authors), these two stories are going to take up my time today. I want to get them completed and see about getting them proofed several times, and maybe posted. I'm loving this journey, just wish that my muse was a bit less insistent sometimes - LOL. Current Location: Waiting to enjoy a nice, warm day. That's a fantastic legacy. Good luck to her with it! And I'm blushing - but you're too hard on yourself. It's always good to see other Erestors, anyway.